You wish to put into practice the knowledge you have acquired in the Strasbourg Institute of Political Studies and want to live an enriching gainful professional experience ? Join Sciences Po Strasbourg Consulting and become a Junior-Consultant ! What does being a Junior-Consultant mean ? Being a Junior Consultant is the perfectopportunity to prepare your entry into the professional world. Indeed, being a SPSC Junior-Consultant will enable you to conduct various missions, assigned by companies, organisations or public administrations. Why you should become a Junior-Consultant? Sciences Po Strasbourg Consulting is an organisation whose members range from the first to the fifth year of the Strasbourg Institute of Political Sciences. You will also benefit from exclusive free trainings and afterworks organised by SPSC. But above all, you will have the opportunity to achieve formative and professionalising missions while being paid. 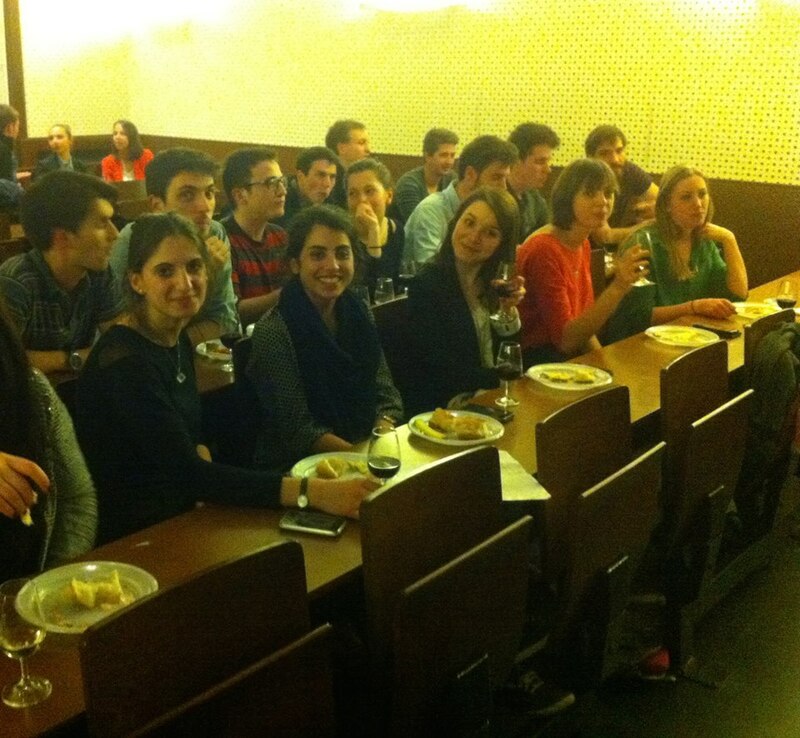 Afterwork on "Audit and Consulting"
“Degustawork” on the theme of entrepreneurship. Who is eligible to be a Junior-Consultant ? Each and every student of the Strasbourg Institute of Political Studies is eligible, from 1st to 5th year, including Erasmus and international students. Whatever your study year, in SPSC, you can put your experience and skills forth. What about your personal investment when you are a Junior Consultant? Sciences Po Strasbourg Consulting offers missions all-year long. The amount of personal investment can vary from a few hours to several months depending on the mission you have chosen. Moreover, SPSC always ensures that every mission can be achieved while studying.The timescale is negotiated so that you can respect it without neglecting your studies and/or other imperatives. How to become a Junior-Consultant ?